In Mixology, one thing is important to remember: the drink is as good as the worst ingredient. While we will come back on liquors [wines and alike] on another occasion, one often neglected component is juice. In this post, we only want to focus on the sheer quality of the juice - not much on the respective characteristics. Lets begin - shall we? Lemon & Lime Juice: We are starting directly in the "danger zone". Lemon and lime juice are essential for mixology. The idea is to utilize the acidity - the taste is secondary. 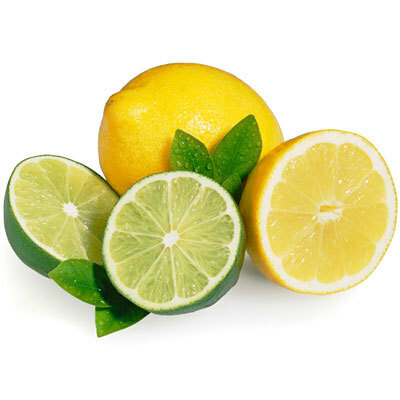 Unfortunately lemons & limes are extremely sensitive as soon as they are extracted out of the fruit. Processed lemon or lime juice [out of concentrate or squeezed directly but UHT treated] is unacceptable. They taste really bad - they are bitter, metallic and you can easily ruin any beverage with it. Commercial fresh squeezed lemon or lime juices are unfortunately not much better. These juices are so sensitive that after 9 hours of extraction, they oxidize. A drink would not be good with those! Self squeezed lemon or lime is the answer. It is even cheaper than the commercial and has the best quality imaginable [just roll the fruits under your palm to make the juice extraction more effective]. Orange Juice: This is one of the most utilized juice around. Fortunately orange juice is not as sensitive as lemon or lime - however not every product is appropriate. Again juices made out of concentrate are no good. They are bitter, and just don't taste as the real thing. Direct extracted juices are much better. They are still a bit more bitter than the real fruit, but definitely an enjoyable products. Even better is the commercial fresh squeezed juice. Home squeezed juice is definitely more inconsistent [in sweetness, acidity, concentration], but also the most delicious. If you are squeezing yourself, use juice oranges. Grapefruit Juice: Grapefruit juice is horrible from a concentrate. As orange juice, grapefruit is also much better, in the direct pressed variety. Always go for pink grapefruit juice, it is fruitier, sweeter and overall more delicious. 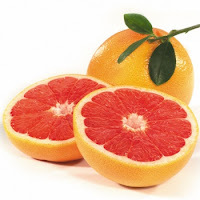 Commercial fresh squeezed grapefruit juice is a hit and miss - but fortunately more often a hit than a miss. Self squeezed grapefruit juice is just most delicious. Again go for the pink variety, which is sweeter, juicier, fruitier and more delicious. Pineapple: Pineapple juice out of concentrate is horrible and has nothing to do with the fresh fruit. Even worse than canned pineapples. I haven't really seen really direct extracted pineapple juice. Commercial fresh squeezed pineapple juice is also a hit and miss - unfortunately more a miss [it seems, that the producers sometimes using frozen pineapples - when the price gets too high of the fresh ones]. Always great is self extracted pineapple juice [however your need a juice extractor]. Apple juice from concentrate, is clear, has a clean, sweet flavor [well don't taste really like fresh apple, but this is ok]- for some drinks, it is absolutely ok to use. Direct pressed juice fairs in this case worse - don't get me wrong here - it is still good, but the products are usually quite expensive and not as good and comforting than the other varieties]. Fresh commercial extracted apple juice, is very consistent and very good [go for green apple juice] - I would say, this is the best way, how to get your juice. Self extracted juice is separating very fast - and tend to taste a bit watery - while ok - the home squeezed juices are not as good as the commercial fresh extracted juice. Watermelon: I like to eat watermelons - however I don't understand, why the juice is so popular in the region. As I know, there are only two choices - commercial extracted fresh watermelon juice and homemade. The commercial version is in my eyes horrible. I think, that the factories are extracting the watermelon with the seeds, hence you get always a strange woodsy / tanniny tastes - which is weird if it comes to fresh juice. It is difficult to make it at home: seedless watermelons are really expensive [but would be an option]. You could blend them and strain the juice through a cheese cloth. A conventional juice extractor would be an option - however with a very low yield. The only real options, of using normal watermelons [with seeds] with a good result is a food mill [and this method is real pain] - or a hydraulic juice press, which (a) I haven't seen in the region and (b) is really expensive! There is also a 100% cranberry concentrate out there, which you could use to flavor things with. Pomegranate: In the Middle East, pomegranate are an staple! Similar in taste as cranberries, they are much juicier as well as more pleasant in taste. 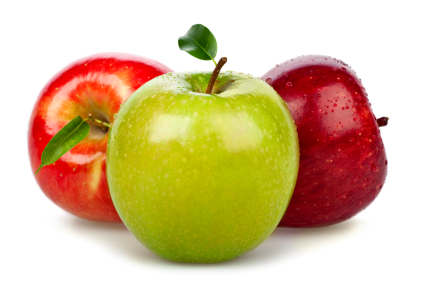 Like apple juice, the varieties made from concentrate are ok. The juice taste quite good [again not like the real thing, but at least pleasant] - but it is usually really expensive. It is not much more expensive to buy commercial fresh juice. However results are inconsistent - sometimes the juice is good, sometimes not. Squeezing yourself would yield the best sensory, and if pomegranates are in season, it is also the cheapest option. You would need a stand hand juicer [or again the fabled hydraulic juicer] and some patient to clean up the mess afterwards [be prepared for a lot of red stains!]. 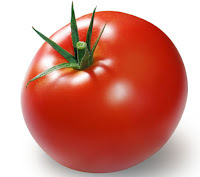 Tomato: Like apple juice, tomato juice is quite good in all varieties - however taste completely different. The juice out of concentrate, taste not really like a juice, but like tomato soup. However this is what a lot of people are expecting [we experienced it all in air planes, when everybody is ordering tomato juice]. I would go for a vegetable mix like V8 - usually it beats easily the tomato only products in taste! Home made, you can blend and fine strain tomatoes and let the result separate in a couple of hours. You end up with the most delicious tomato water [which is really the clear juice]. Ok - there are a lot of other juices around - some nectars [you cannot really produce juice out of peaches, pears, apricots or bananas], and some varieties which are just not that popular - at least not in drinks [e.g. grape]. But above should help you, to estimate qualities of juice and get the best possible quality for yourself or for your guests. There are also some interesting options, if it comes to juice. For example, you could do also "Agua de Jamaica" an infusion made out of dried hibiscus husks [in the Middle East also known as karkarde - and in other regions known as roselle], which has very similar properties as pomegranate or cranberry juice [acidic, slightly astringent]. And there is the possibility to make agua frescas out of fruits, which might be too pulpy or too expensive to just juice. Agua frescas are actually the home made version of nectars [part juice, part sweetener and part water]. 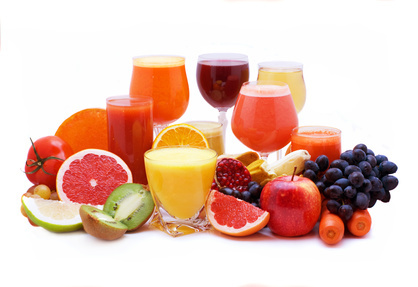 Question - what is the difference between direct-pressed and commercially extracted juice? My favourite juice is pomegranate - with champagne! Direct pressed juices are pressed / extracted from the fruit [usually in the region, where the fruit is grown] and then manipulated = UHT'ed [ultra high temperature treated] and homogenized to make them shelf stable. Commercially extracted juice are squeezed from the fresh juice [usually in the region, where it is consumed] and not further manipulated - they taste fresher- however also have a very short shelf life or 3 or 4 days.